Looking for More Brazilian Publishing News in English? We’ve got the hottest news on the publishing business in Latin America’s growing juggernaut. For more than a year, Publishing Perspectives and PublishNews have collaborated to bring you the top publishing news from Brazil for foreign language markets at PublishNews Brazil. Looking for the latest bestsellers? 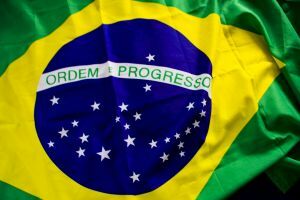 Looking for news on agents selling right to and buying rights from Brazil? Looking for an edge on international expansion into Latin America’s fastest growing market? We’ve got it. The most recent edition of PublishNews Brazil is up and includes today’s feature on Amazon’s plans to offer a cut price Kindle, the launch of two new literary agencies specializing in Brazilian authors, the trend of producing short e-books for the Brazilian mobile market, and more. You can subscribe to receive regular updates for free. And if you have a tip for a story you’d like us to cover from Brazil, send us an email.